College Academic Block is located in the centre of the College campus. This British style legendary block symbolizes its legacy and tradition. The College comprises two campuses; Main Campus; consisting of College Section, Cambridge Section and School Section; New Campus includes Middle Section and Junior Section. College Section consists of 1st Year and 2nd Year. Mostly students come on promotion from School Section, but fresh intake on vacant seats is taken in 1st Year class. School Section consists of 9th and 10th classes. Mostly students come on promotion from Middle Section, but vacant seats are offered for fresh intake. Cambridge Section of the College consists of O/A levels. The syllabus is prescribed by the University of Cambridge and is revised every two years, with a view to bringing about changes to keep the students abreast with the latest developments and optimum enhancement of their intellectual faculties. The O/A Level curriculum places emphasis on broad and balanced study across a wide range of subjects. The curriculum develops learners' skills in creative thinking, inquiry and problem-solving and is structured, so that learners attain both practical skills and theoretical knowledge. The New Campus comprises a three storeyed semi-circular building with Administration Block in the centre and Academic Blocks on outer circle with two Residential blocks in the inner circle. The Campus has been equipped with the state of the art Computer laboratories, which enable the students to keep in touch with today's world. The Junior Section from Prep to 5th classes has been constructed as a feeder institution to the College. This Section has spacious rooms, which can accommodate 875 of students and also provides conducive environment to the students where they can acquire knowledge with full zeal and zest. 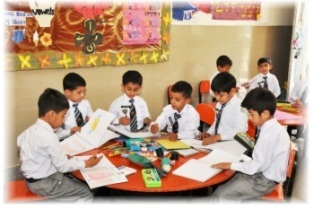 In Junior Section there is an Activity Room for the young students, where they are given full freedom to do anything related to their education. Alongside these facilities there is a Music Room as well, in which the young artists are trained under the supervision of skilled and trained music teachers. The students are allowed to show their creativity and imagination in the Art Rooms, possessing all the equipment that the students require. This allows the students not only to get good grades but also improve their intellect and innate talent as well. Middle Section, consisting of 6th, 7th and 8th classes, has recently been created, which has been accommodated in New Campus, in the proximity of Junior Section, and Cambridge Section has been shifted to Main Campus. Two-fold objectives were envisaged in this shifting: discernible improvement in the results of Cambridge classes and housing of students with less age in one Campus i.e New Campus. 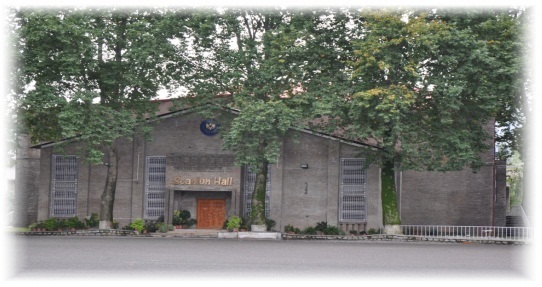 A well equipped auditorium, named after the first Principal of the College, Father F. Scanlon, adds to the beauty of the College. It has a seating capacity of 750. All the Inter-House competitions like Qiraat/Hamd-o-Naat, Quiz, Debates, Declamations, Conferences are held in it. Parents' Day and All Pakistan Bilingual Declamation functions are also arranged in this Hall. Movies are shown on weekly basis to the boarder students on regular basis. Movie night is an occasion of special interest for the students. 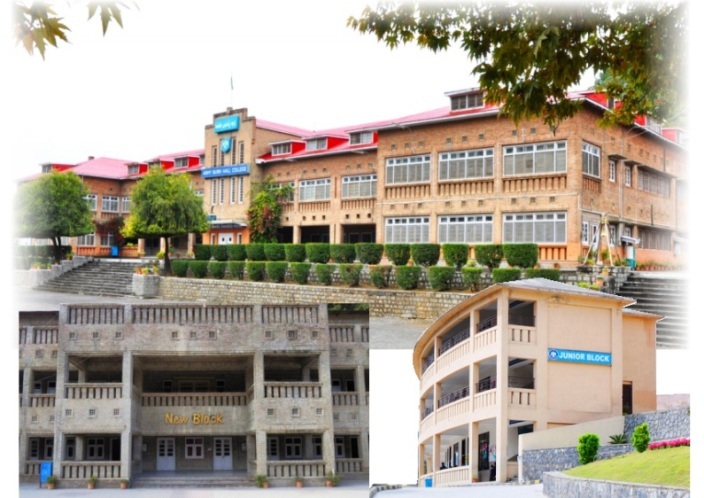 College has five hostels to accommodate approximately 750 boarders, named after Muslim freedom fighter/heroes viz Syed Ahmad Shaheed House, Shah Ismail Shaheed House, Sultan Tipu Shaheed House and Sher Khan Shaheed House. All the dormitories are well furnished, spacious and centrally heated. Daily newspapers, magazines and periodicals are regularly provided to the students to keep them abreast with day-to-day national and world affairs. The Housemaster, alongwith 2-3 Assistant Housemasters and Prefects, supervises each House. The Prefects are selected among the senior students on the basis of their performance in academic, curricular, co-curricular, extra-curricular activities and leadership traits. Each house has a Physical Training Instructor, who looks after sports and physical training of students. Every House has bearers and security guards, who are responsible to ensure the security and upkeep of their respective houses. The College library has recently been renovated and named as ‘B.A.Malik Library’, after the name of first Pakistani Principal, Brigadier Bashir Ahmed Malik. The library is stocked with a variety of books on different subjects. The books have been carefully and wisely selected to meet the requirements of the students and to inculcate in them love for literature and learning. Periodic visits to library make students explore the realms of knowledge and develop the feeling of belonging to the whole of mankind. There is a system of regular inflow of newspapers, journals and books in the library. Apart from it, a program has been launched to digitize the library, whereby, e-books are being added in the stock. The College has a traditional Mess. A Mess Committee under the supervision of College Principal runs the Mess. The menu is very carefully prepared to provide a balanced diet. The quality of food is maintained to the satisfaction of the students. Special diet is also available on medical advice. The College has a 7-bed Hospital. A Medical Officer and two Nursing Assistants are available to provide medical care to the students. The cases requiring investigation are referred to the CMH for advice, if needed, the students are admitted in the CMH for treatment. The sons/wards of serving/retired Armed Forces personals get free treatment at CMH, whereas, the parents of non-entitled students have to bear the expenses of the treatment/medicine, investigation, etc. of their wards as per rules in vogue. Children requiring admission beyond 7 days are not retained in the hostel, they are given leave in consultation with their parents/guardian. Character building and moral grooming are essential parts of education. An effort is made to help students develop a balanced world-view, tolerant and accommodative attitude. The Morning Assembly begins with the recitation of the Holy Quraan, followed by a Hadith and their translation into English. The 'Nazra Quraan' is taught as a compulsory subject. Moreover, the Annual Qiraat / Hamd-o-Naat Competition is a regular part of the religious discipline. All Religious/ National days are celebrated with the enthusiasm and solemnity. The College has well equipped Physics, Chemistry, Biology and Computer Laboratories. The availability of latest equipments and skilled instructor is hallmark of all the Laboratories. For getting mastery in the subject of Computer, the studying computer has been made compulsory for students from Prep to class 8th, however Computer Studies has been introduced as an elective subject at Matric and Intermediate levels.